It is really hard to amaze someone in the industry of video games, but Codemasters today has announced the most insane and expensive special edition for its upcoming GRID 2 game that is really unbelievable. GRID 2: Mono Edition will cost about $189 000. It comes with not only the copy of the game, but also with, PS3, supercar, a day at the factory of British automobile manufacturer and pretty nice suit for race driver. So, if you buy it, you will feel yourself as a real driver and not only the one who plays racing simulator. 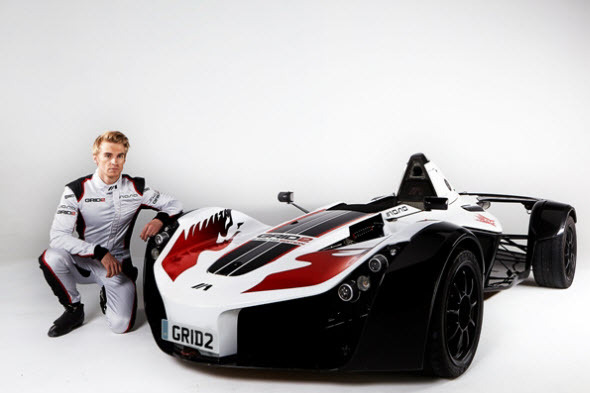 The car that is added into GRID 2: Mono Edition is BAC Mono. It is an ultra-high performance automobile, that features in the game. It speeds up to 100km/h in 2.8 seconds and is created from carbon fibre. GRID 2: Mono Edition, as you might guess, is the single offering that will come to only one desperate game's fan. Would you like to be this lucky person?